TheStockBandit University offers a pair of video-on-demand training courses for traders, regardless of your current skill level. Whether you're a novice trader and you need to understand the basics, or if you've got some experience and simply aren't reaching your goals, we have the right stock trading course for you. 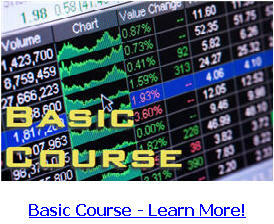 Basic Course - Learn More! Register here for instant access to our Basic course, brought to you in a virtual classroom setting. Watch & learn instantly from our video-on-demand lessons which show you step by step how to get beyond beginner mode to trade today's markets. From hardware and software to trading plans, technical analysis, trading psychology, this course contains more than 4 1/2 hours of video. Don't allow market performance to dictate your financial future - Take control today! 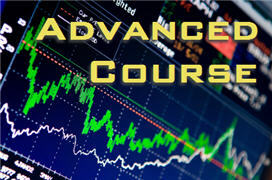 Advanced Course - Learn More! Register here for instant access to our Advanced course, brought to you in a virtual classroom setting. Watch and learn instantly via video-on-demand lessons for Swing Trading, Day Trading, and Position Trading. Our Advanced Course is Higher Learning for the trader who needs a specific plan of attack based upon whichever conditions may be present in the market. Packed with insights, this course contains more than 6 1/2 hours of video training! Isn't 'trading' risky and can't a trader lose money? Any method of participating in the stock market involves risk - that's required for potential profits. So yes, trading does involve risk. So does conventional "investing." And actually, investing might be considered even more risky because of the longer timeframes and lack of emphasis on loss-cutting measures. Putting all your eggs into one basket carries heavy risk, and it's going to be painful if that long-term idea doesn't pan out. It'll cost money, but it will also cost precious time which is needed in order to compound money. Trading can actually allow for many different ideas to flourish, eliminating that get-it-right-once mentality which many 'investors' adopt. We offer a full 7-day money-back guarantee, so if you happen to enroll in what you feel is the wrong course, just let us know and we'll get you set up on the one you need. The Basic Course is geared toward new traders who either are getting their bearings in the market or who may have just transitioned over from the buy-and-hold side and are looking to take a more active approach. The Advanced Course is intended to assist traders who have some experience but who need additional, specific training in order to reach their market objectives. With your enrollment into any of TheStockBandit University's Courses, you can contact your course instructor for help anytime for a full-year, with any questions you might have. That direct assistance and one-on-one coaching from a full-time trader is one huge difference that puts TheStockBandit University on a level of its own. Do I need any financial background, or any experience trading stocks? Not for the Basic Course, as it's designed to explain core concepts even to beginning traders. No experience is required whatsoever, so if you have none that's perfectly fine. You'll still be able to follow along and learn a lot as you go through the curriculum. However, the Advanced Course should either be taken after enrollment in the Basic Course (we do offer Bundle pricing), or after gaining some experience trading. Do I need a brokerage account or software in order to take this course and follow along? No. Obviously, at some point when you do start trading, a brokerage account will be needed. 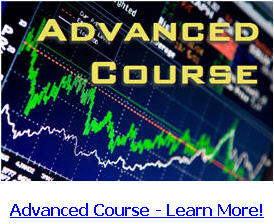 However, this course isn't based upon your having a trading account open, or access to any specific software. 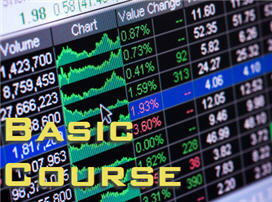 We will discuss some trading platforms and programs during the course which you might want to eventually use. But neither are required for taking this course. How exactly does this whole “virtual classroom” thing work? TheStockBandit University is taught over a four-week period. After enrolling in the course, you’ll gain immediate access to the Week 1 lessons. Then 7 days later, you'll be given access to the Week 2 lessons. And this pattern will continue throughout the remaining weeks of the course. When you login to the course, the video-based lessons will be waiting for you. All you have to do is click a button, watch and learn. You can watch these lessons as much as you want and you can access them anytime, day or night, 7 days a week. After the course is over, will I still be able to access the lessons? Yes. You will have full, unrestricted access to all of the course lessons indefinitely. That means it will continue to be a resource for you to turn to again and again. Enrolled students will continue to receive personal, one-on-one assistance from the instructor for one year. I don't have time for a 4-week course. Can I get the lessons faster? Yes. Contact us here and we can arrange for you to receive the lessons faster. This web site and it's information and services are provided for guidance and informational purposes only. Your membership is an acknowledgement that information given by TheStockBanditUniversity.com is for educational purposes only, and in no way guarantees your profitability in the stock market. With enrollment, you agree to assume all risk resulting from the application of any of the information, products or services provided by TheStockBanditUniversity.com. You alone are responsible for the actions you may take, and therefore you agree to hold TheStockBanditUniversity.com completely blameless in the event of financial losses which may occur as a result of your trading. Day Trading involves high risks and you can lose a lot of money. All investing involves high risks and you can lose a lot of money. The information presented here is general and not targeted individual advice, nor should it be interpreted as such. You should seek help from an investment professional for any specific questions or plans pertaining to your own financial and investment goals or plans. Check with your lawyer, accountant, or investment advisor before acting on the information provided here or anywhere else. More details on our disclaimer are available here. Copyright TheStockBandit, Inc. All rights reserved.